From lions to leopards, elephants to buffalo, Duba Plains Camp guests are treated to close-up encounters with extraordinary wildlife. Beyond the Big Five, this region is also known for interesting Kalahari species, such as Aardwolf and Pangolins. 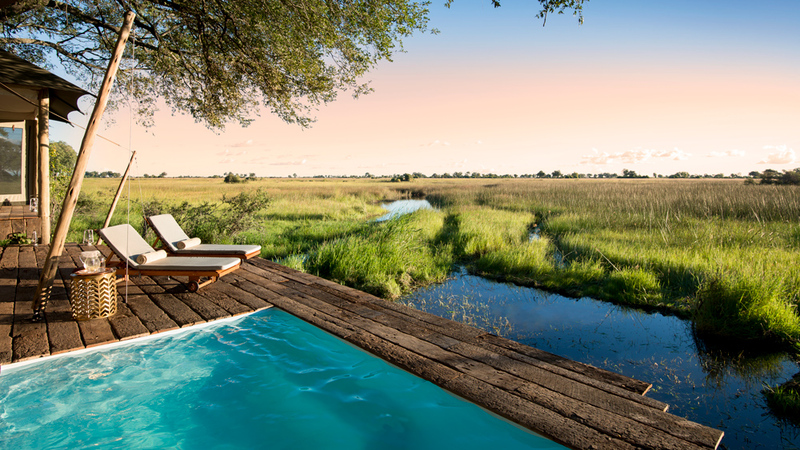 The camp is a five-star sanctuary, with spacious tented suites situated on a serene island in the Okavango Delta, each featuring en-suite bathrooms, al fresco showers, plunge pool and verandahs. Guests commune at an cozy outdoor sitting area with a fireplace and in the raised dining rooms where meals are complemented by a handpicked wine list, including a few hundred bottles from friends of the owners. 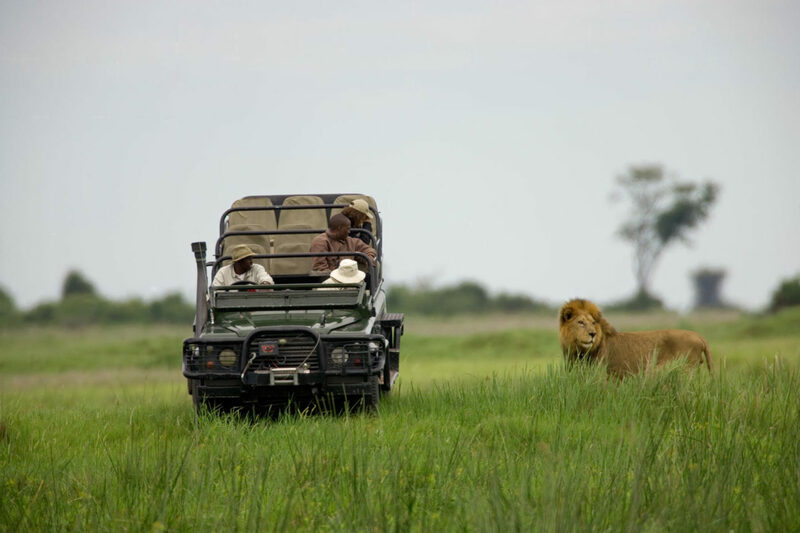 Days are spent on exciting game drives and leisurely boat expeditions in the channels of the delta. 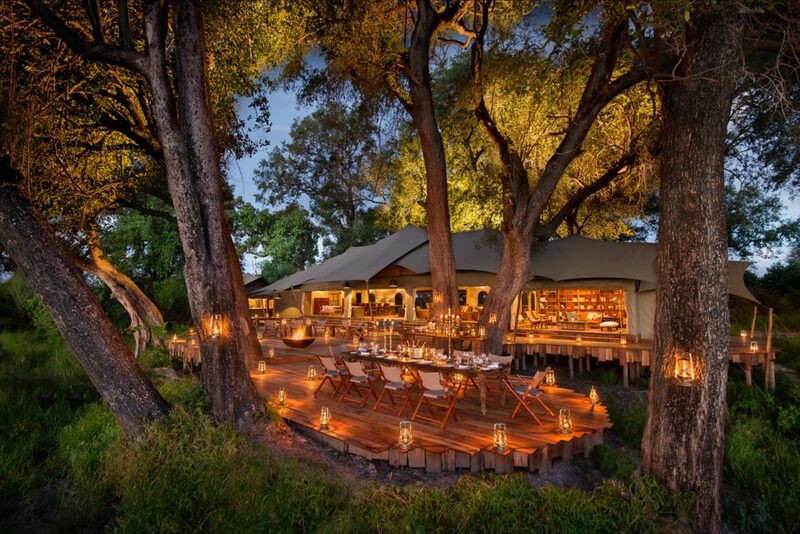 Extreme indulgence is the Camp’s two-bedroom Duba Plains Suite, offering two swimming pools, a game drive vehicle with dedicated guide, as well as a private butler and chef. 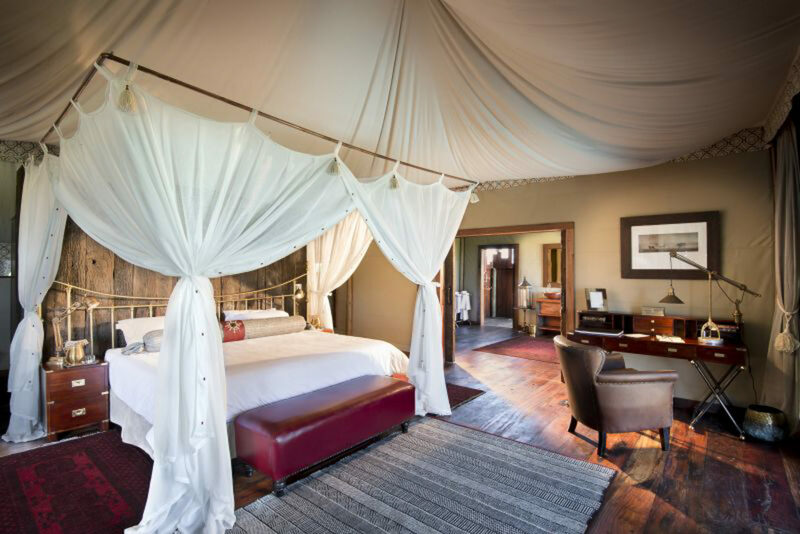 Duba Plains Camp offers 5 bespoke tents, in addition to a separate 2 bedroom suite aptly named the Duba Plains Suite, all designed by Dereck Joubert to blend into the forest and to take advantage of the shapes and textures of the shade but also to evoke the old classic African safari style of the 1920’s. It is a wildlife connoisseur’s getaway with literally thousands of animals in an almost endless pattern across the flood plains. A maximum of 10 guests sharing in five tented rooms, plus an additional guide’s tent as required. Children from 6 years old are welcome. Duba Explorers Camp’s (category B) airfield whose co-ordinates are S19″01.901′; E22″42.712′. 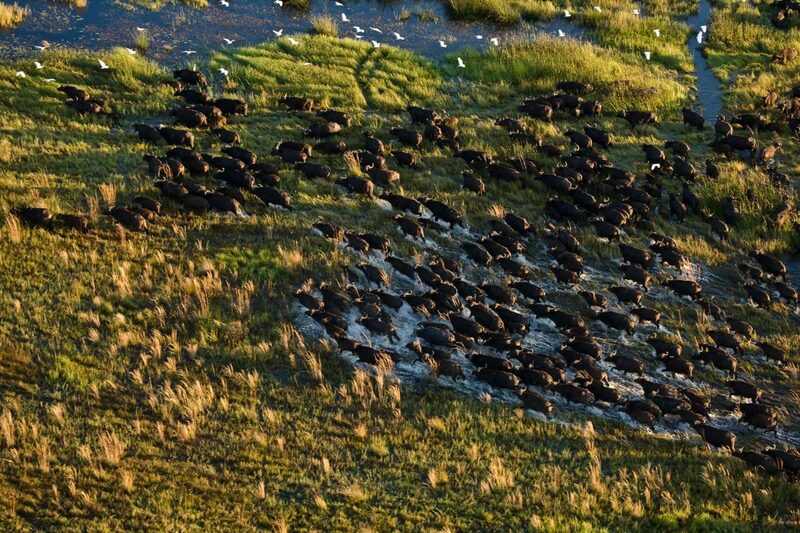 Duba Plains Camp is located in 77,000-acre Duba Plains Reserve in northern Botswana’s Okavango Delta.